Is This New Book the Greatest Ever Written on the Rosary? Earlier this year as I was returning to the friary from my summer assignment I found a package in my mailbox from Fr. Donald Calloway, MIC. It was a signed copy of his new book, Champions of the Rosary: The History and Heroes of a Spiritual Weapon. In a couple of days I would be taking a silent retreat at a Trappist monastery and was in need of some spiritual reading, so the unexpected book could not have come at a better time. To be honest, so many books have been written about the rosary, that when I first saw this one – although grateful for the gift – I was not expecting to encounter anything special. Was I ever wrong! Fr. Don Calloway’s book on the rosary is probably the best book written on the topic since St. Louis de Montfort’s classic The Secrets of the Rosary, and – I say this without hesitation – surpasses even de Montfort’s work. It will quickly take its place – a special place – as the greatest book written on the rosary to date. Fr. Calloway should be proud of this achievement. When one reads his book it becomes evident that a labor of love went into it, finding a beautiful balance between a fascinating and thorough history of the rosary and being a work that captures the spiritual dynamism of this devotion with the saints, mystics, and martyrs who, throughout Church history, have been its greatest advocates. The subtitle of the book – “The History and Heroes of a Spiritual Weapon” – points to a profound reality, one that perhaps too often in our cultural thinking (which falls into secular norms of understanding) we tend to neglect – the reality that life is a battle between two kingdoms: between the Kingdom of Heaven and the kingdom of hell, between God and the devil, between light and darkness. And, what is most urgent not to neglect, is the reality that we are all born into this war and thus called to be soldiers on the battlefield. The first half of the book is probably the most thorough history of the rosary ever written in the English language, including a history of popes, miracles, military battles, Marian confraternities, and various developments in Church history that has led to the promotion (and, at times, suppression) of the most popular devotion in Catholicism. It is so well-researched, and yet beautifully written, that Fr. Calloway admits it took him years to work on. The second half of Fr. Calloway’s book pertains to 26 holy men and women – saints, blesseds, popes, Servants of God – who had an incredible Marian devotion and were great advocates of the rosary. 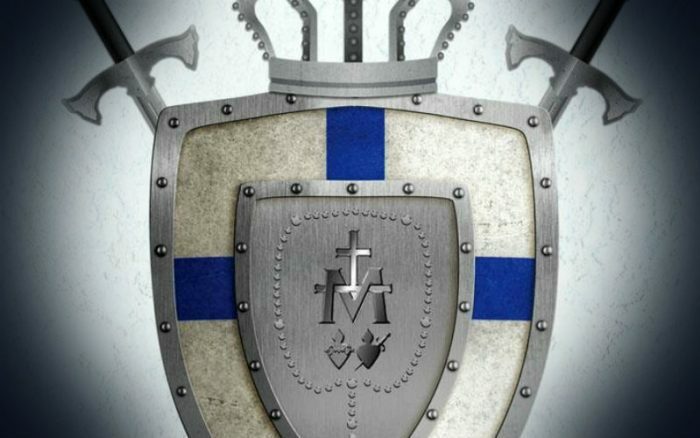 This section constitutes the spiritual dynamite of the book, giving the stories and Marian spirituality of men and women whose holiness and devotion is contagious. Reading about these souls we are strengthened, edified, and encouraged by their radical witness to become holier, to pick up the rosary each day, and go deeper into prayer and intimacy with Jesus and Mary. We see a nice combination of very well-known names like Maximilian Kolbe, Padre Pio Josemaria Escriva, John Paul II, Fatima visionary Lucia dos Santos, and lesser-known (but equally important) names like Blessed Bartolo Longo and Servant of God Dolindo Ruotolo. The less-known names are also spiritual giants to discover. In this sense, the Servant of God Dolindo Ruotolo (1882-1970), someone who Fr. Calloway remarks as being “born in Naples and is almost unknown outside of Italy,” has been a real discovery for me. In such spiritual gems, we see a much deeper understanding behind the reality of the rosary as a central weapon of combat for spiritual warfare. Fr. Calloway’s book accomplishes a tremendous task, one that is threefold. It is probably the most thorough history of the rosary ever written. It captures the spiritual dynamism of Marian devotion and spirituality, especially conveyed through the lives of the men and women who reached heights of holiness through their Marian spirituality. And it also provides beautiful artwork about the Madonna and the rosary—many depictions of St. Dominic receiving the rosary, and of other saints with the Virgin. These artworks span from classics by baroque artists like Caravaggio to contemporary art commissioned by Fr. Calloway for the theme of the book, capturing a Madonna that is a mighty Queen with the rosary in one hand and a sword binding the devil in the other, surrounded by her army of saints. The Bible begins with the Book of Genesis, where it is explained that the Woman would stump on the head of the serpent, and finishes with the Book of Revelation, where the Woman with a crown of twelve stars with her child would do battle against the dragon and his angels. Meaning, throughout salvation history, from the beginning to the end, Our Lady’s has been given a pivotal role—even being prefigured—in destroying the works of the devil, leading souls to a deeper intimacy with her divine son Jesus: being chosen by God for a singularly unique mission in salvation history. It is the Queen of Heaven who is leading the armies of light against the kingdom of darkness. Fr. Calloway, being someone who was saved from a life of sin and ruin as an adolescent—including addiction, crime, and promiscuity—through the intercession of the Virgin Mary, knows very well what it means to be saved from the grip of the enemy by the spiritual sword of the rosary. He has written a book in return that is a gift to the Church, speaking to a multifaceted and rich history of miracles, conversions, military victories, Marian apparitions, and holy lives who owe so much to the Virgin Mary’s intercession. The greatest compliment that a book by a Christian author can receive is that it’s a work that will lead readers to experience God and lead to lives of deeper devotion and conversion. Fr. Calloway’s book, an anointed work, possesses this rare capacity: it is a book informed not only by knowledge but also by the life of prayer. 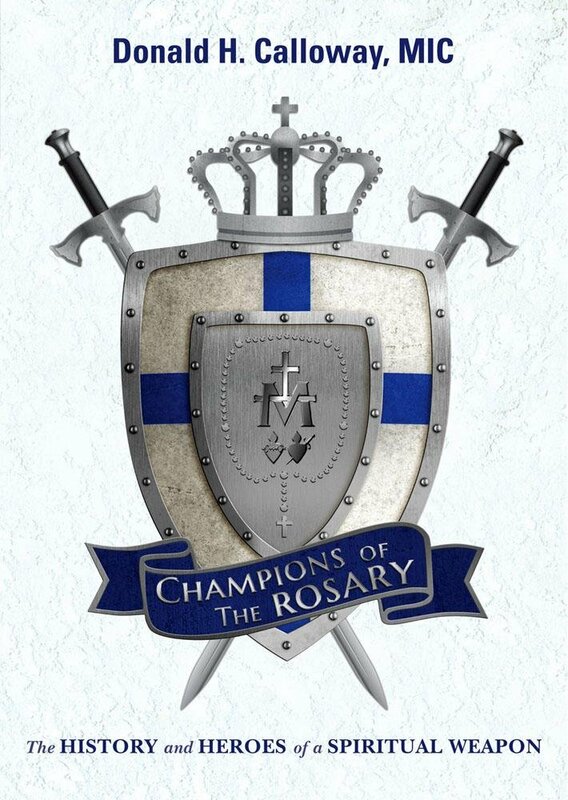 Champions of the Rosary is available on Amazon. Br. Daniel Maria Klimek, T.O.R. Br. 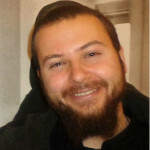 Daniel Maria Klimek, T.O.R., is a simply professed friar with the Franciscan Friars of the Third Order Regular from the Province of the Most Sacred Heart of Jesus, pursuing a vocation to the priesthood. He earned his Ph.D. in spirituality with distinction from the Catholic University of America, and received his Master of Arts in Religion from Yale Divinity School, concentrating on the history of Christianity.